This year Mawlid - the Muslim festival celebrating the birth of the Prophet Muhammad - falls just before Christmas*. It is a Muslim tradition to perform nasheeds - sacred vocal music - at Mawlid. 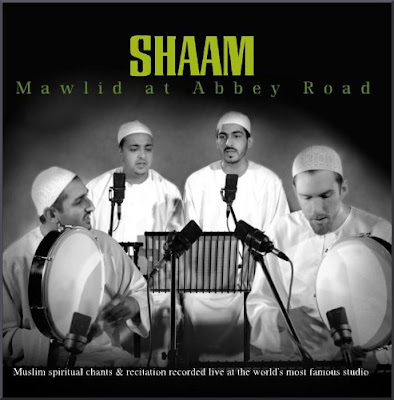 In 2004 the British nasheed group Shaam recorded the album seen above in the famous Studio 2, Abbey Road, which was the venue for historic recordings by The Beatles, Pink Floyd, Kate Bush and many others. Other nasheed albums in my library include Chants du Mawlid by the Sufi group Taybah from a city close to my heart, Avignon. 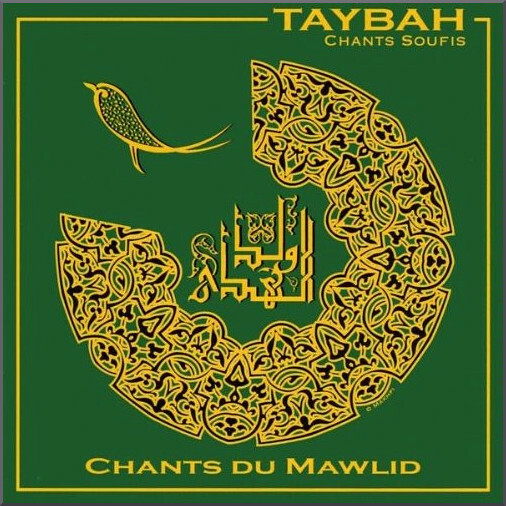 Both albums are notably well presented: Taybah's Chants du Mawlid has extensive French documentation which includes exquisite Arabic calligraphy - see artwork below - while Shaam's Mawlid at Abbey Road is accompanied by an erudite essay by the British Muslim Timothy Winter (Shaykh Abd’ al-Hakim Murad), who is dean of the Cambridge Muslim College, and director of studies, Wolfson College, Cambridge. * Mawlid falls on the 12th of Rabi' al-awwal in the Islamic lunar calendar. As the moon sighting varies in different countries Mawlid may be celebrated on different days in different countries - December 23rd or 24th this year. Because the Islamic calendar is lunar, the date of Mawlid moves against the Gregorian calendar. No review samples used in this post. Any copyrighted material is included as "fair use" for critical analysis, and will be removed at the request of copyright owner(s). Also on Facebook and Twitter.